In the biblical lowlands of Judea, the Shephelah, there are numbers caves. Some of these were used for raising doves. The Midras ruins, where our photo below was taken, are located in the Adulum Grove Nature Reserve. Columbarium at Midras Ruins, Adulum Grove National Park in Southern Israel. Photo ©Leon Mauldin. Columbarium means dovecote in Greek. 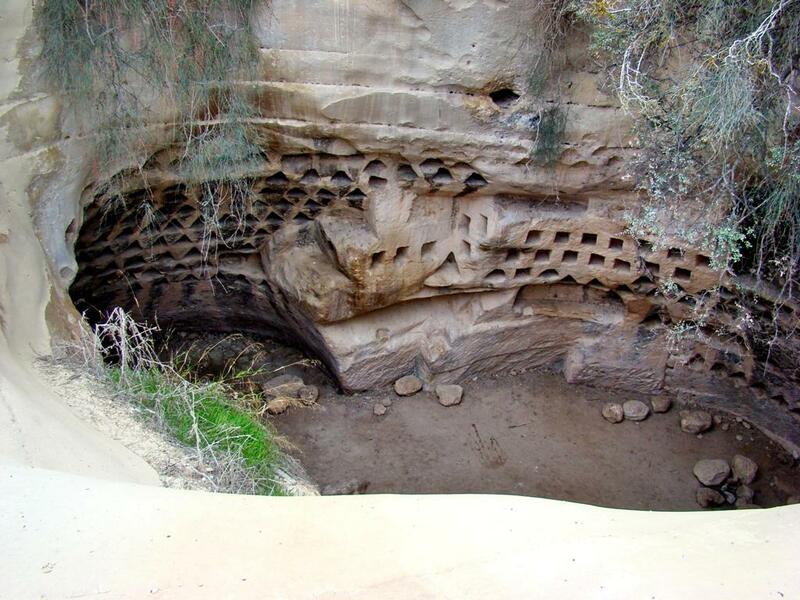 Hundreds of caves of this type were found in the Judean lowlands, usually in the vicinity of ancient settlements. Dozens of small niches of various sizes, ranging in depth from 15 to 25 cm, were carved into the wall of the columbarium. Scholars believe that doves were raised in these niches for food, and to use their dung as fertilizer. The doves may also have been used for ritual purposes. The raising of doves was apparently a significant part of the economy of the Judean lowlands during the Hellenistic and Roman periods. This area would be the general context for 2 Sam. 23, an event during the life of David: “And three of the thirty chief men went down and came about harvest time to David at the cave of Adullam, when a band of Philistines was encamped in the Valley of Rephaim”(v.13). This entry was posted on Monday, June 13th, 2011 at 9:27 PM and is filed under Bible History and Geography, Bible Study, Israel, Old Testament. You can follow any responses to this entry through the RSS 2.0 feed. You can leave a response, or trackback from your own site.